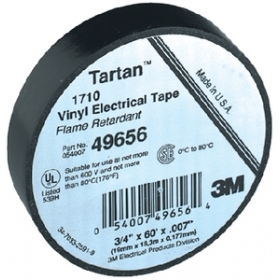 Combines the flexibility of a PVC backing with good electrical insulating properties to provide primary electrical insulation for splices up to 600V. Abrasion-, corrosion-, and UV-resistant. UL listed, it resists alkalis and acids, and is flame-retardant. "Worked with Sheryl - she was very helpful and did a great job. It was a pleasure working with her..."
"Called about next day delivery and they said if order was placed by early afternoon it would go..."
"Excellent price and fast shipping. Will definitely use Boater's Plus for future parts needs."